The website said no cycling. The signs said only in the designated area (couldn’t find that). But the Ranger’s Office said, so long as I rode from point A to point B and “didn’t ride up and down the same lumpy bits over and over again” I was OK to have an explore. Ham Hill, just outside of Yeovil in Somerset is a geological Site of Special Scientific Interest, its an ancient monument, an iron age hill fort, a nature reserve and a country park! Its quite a spot to be honest so while in the area I took the opportunity to pack my bike and have a little ride. It was hot (hottest day of the year I think) and I had a curry for lunch – this wasn’t going to be a long ride! The hill has given its name to the stone quarried from it. You can see the colour of the stone in the buildings of the two nearby villages of Stoke-sub-Hambdon and Norton-sub-Hambdon. While the quarry somewhat spoils the view and the noise of the machinery mid week – they don’t operate at the weekend and the quarrying is the reason for the “lumps and bumps” as the Ranger put it – so the result is actually a really interesting spot. 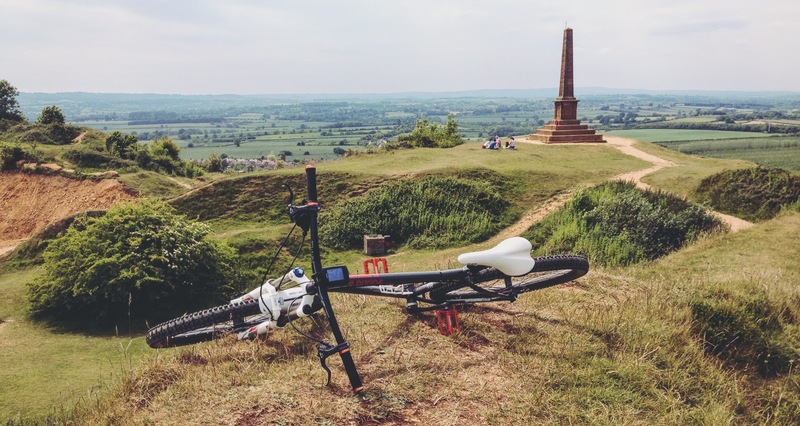 From the war memorial you can see the Mendips, Doreset Downs and the Quantock Hills on a clear day and the area is just perfect for picnic or a walk too. Loads more info can be found on Wikipedia or the Somerset Countryside website as this point links up a few national trails and long distance walking routes. But aside from to take a couple of phootos I came here to ride so I headed off into the woods, and here is where it got really interesting. 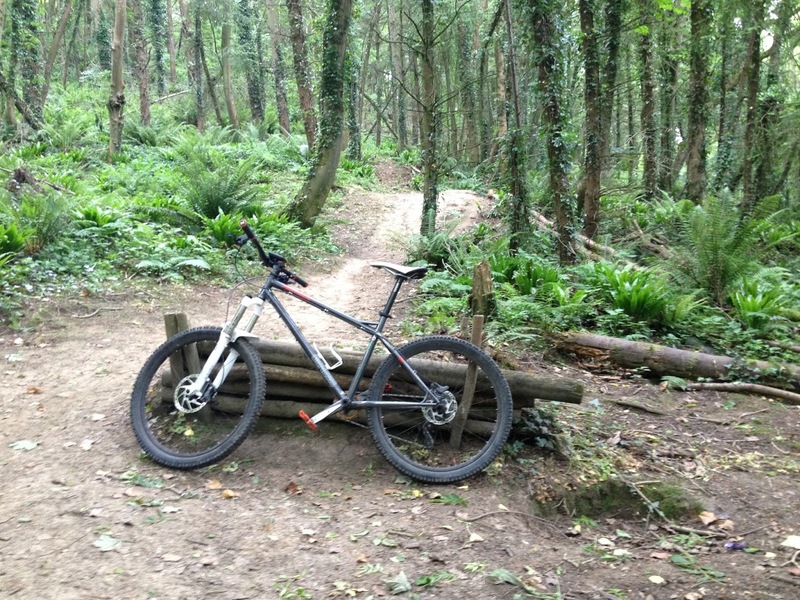 Some bridleways and shared paths (I think) took me down through Hedgecock Hill Wood through some quite steep at times singletrack and I had a great time getting “lost”. Then I stumbled on some jumps. Many of these are beyond my abilities and I would have been silly to have ridden some with poor phone signal and no buddies to pick up the pieces of any errors. However, I found a few that I was happy to hit and made the decision that this was definitely a spot I was going to return to someday soon.